Round Rock Honey owners Konrad and Elizabeth Bouffard have spent more than a decade raising awareness about bees and producing great-tasting honey. Different plants become different flavors in the honey, and Bouffard has mastered how to blend it all together with unrivaled results. But taste isn’t the only thing that sets Round Rock Honey apart from other local and national brands. Early on, the Bouffards realized the importance of raising awareness about bees and founded the Round Rock Honey Beekeeping School. 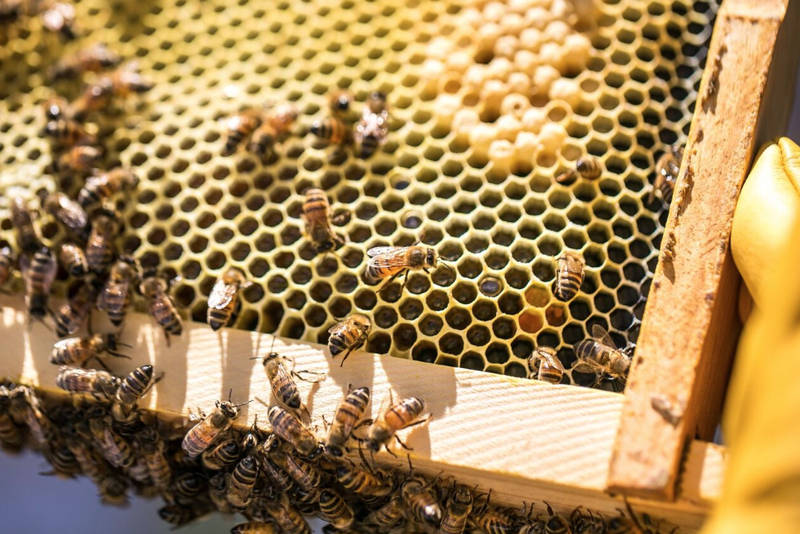 In the past 10 years, more than 850,000 people have taken their three-hour class, learning about sustainable beekeeping practices and how bees contribute to our ecosystem. The Bouffards’ appreciation of bees extends to every aspect of Round Rock Honey, which is manifested in their customer relations. “We have shown over and over again that we will earn—not expect but earn—every purchase,” said Bouffard. That level of trust translates to everything from putting their name, address, and phone number on each bottle to answering requests for a pollen analysis and a certificate of authenticity for each batch of honey, which can be traced to individual hives. Their reputation and high-quality product have fueled the popularity of Round Rock Honey, making it a mainstay in households across the Texas. Bouffard, who was at the Bullock Texas State History Museum the day it opened, is excited to have their honey sold at the museum’s store. “I love the place,” he said. “It is the museum of Texas.” Stop by the Bullock Texas State History Museum and visit the store at 1800 Congress Avenue in Austin. Purchase Round Rock Honey online at their Holiday Shop.